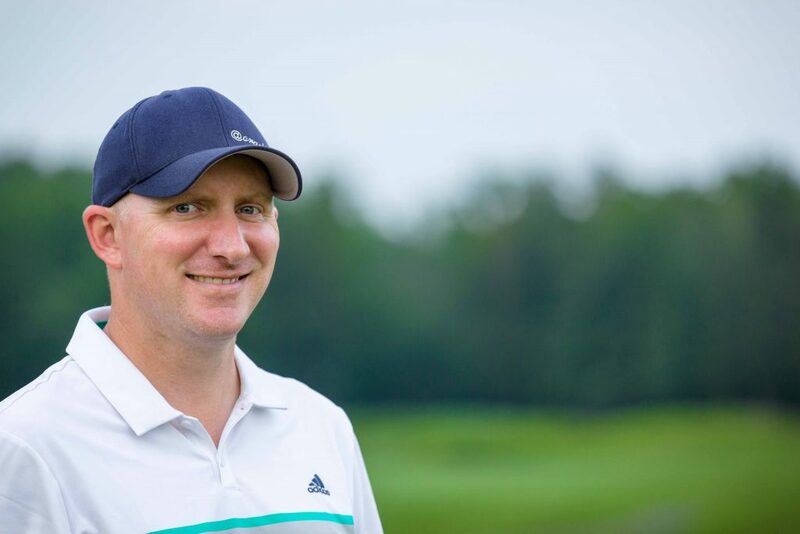 Hi, I’m Ryan Chaney and I am the lead instructor at Clubgolf Performance Center in Gaithersburg, MD. When I’m not spending time with my wife and two children, I am assisting golfers and coaches just like you. In 1999 I worked at a golf retail store in Columbia, MD. I was practicing before a shift one day when a friend of the owner walked in. He saw me hitting balls and watched for a few minutes. After a chat with my boss, he approached me, and asked if I would teach him. I told him I’d never given a lesson before but I’d be happy to give it a shot. We started working together the next week, and he stuck with me until he had to quit playing for health reasons. By the beginning of 2001 I had become a PGA apprentice and landed a full-time job at a golf school in Rockville, MD. In my four years at this facility I taught over a thousand lessons a year to average golfers and had the pleasure of observing my biggest influence, Mr. Tom Reynolds, for countless hours. My time with him helped me understand that the golf instruction business was not about telling people what to do, it was about building relationships with people. He made me understand that golf for these people was more than just a leisure activity, it was an escape. It was my job to create an experience, not just share information. Now it’s 2017 and this is my 12th year at Clubgolf Performance Center. Over the years I’ve taught beginners to major championship winners. I’ve also become a mentor for other instructors, which for me is my greatest achievement. I have two goals for this website. One is to offer instruction to golfers who can’t work with me in person. The other is to offer an education program for instructors looking for guidance on how to run their lesson programs, conduct a lesson, and increase their revenue. Thank you for being here. Please contact me if you have any questions about my programs.